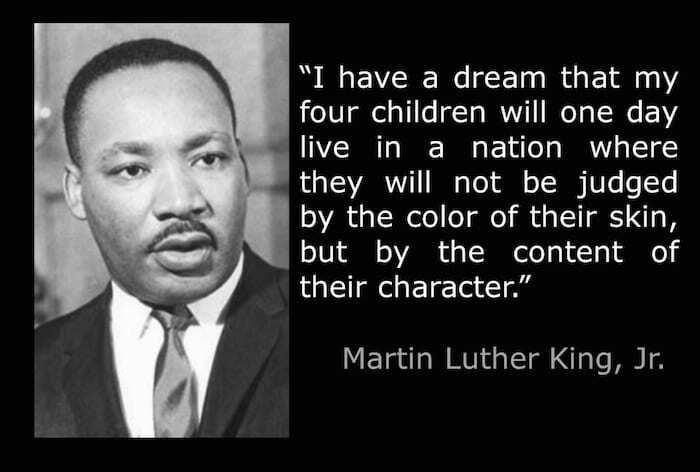 Like Martin Luther King I, too, have a dream. What’s yours? I have a dream that we, as people, will live in love, from love. That we will, first, learn to befriend and love ourselves. I have a dream that we will adore those in our lives and those spread across our globe. I have a dream that as people, as nations, we will lay down our guns and axes. That we will cease fearing, hating and judging those who are different. That we will seek to discover a beautiful truth in those we consider “other”. I have a dream that we will lean on and learn freely from each other, without assuming we know more than another, or that our way is better. I have a dream that those who oppress and violate and invade and terrorize will open to their hearts’ power and its myriad ways of loving and caring. I have a dream where the oppressed and abused, trapped and wounded will heal, become free, rise and soar into their power and radiance. I have a dream that we will find light where it is dark, be found where we are lost, hope, healing, and transformation where there is pain, and so come to know and live from our power and magnificence. I have a dream that we will play and dance and sing and draw and so create great beauty together. I have a dream that we will befriend and cherish all creatures on our Earth — the four, two- and multi-legged ones, those that swim in oceans and rivers, and the ones that slither and slide. I have a dream that we will befriend, cherish, and protect the Green Ones — trees and plants, shrubs and fragrant grasses. I have a dream that we will learn to commune with flora and fauna so we know their needs and how they can best flourish. And that when we harvest we do so with deep regard, grace and gratitude. That we will learn to protect and serve them and their wild beauty just as much, if not more, as they protect and serve us. I have a dream that we will acknowledge, respect, and cherish the radiant, generous Being we live on, our beautiful Earth. I have a dream that we will expand our sensitivities to unseen beings — nature spirits, devas, spirit guides, angels and ascended masters. I have a dream that we will commune with the fairy kingdom — faeries, elves, pixies and such — and be guided by them. I have a dream that we will come to know how exquisite, powerful, radiant and magnificent we are. I have a dream that there exists a Grace, Truth, Light, Love and Beauty so vast and profound that if it were to fill us right now, we would shatter like clay pots. I have a dream that that Grace, Truth, Light, Love and Great Beauty exists within us, waiting to be known, fill and pour through us. I have a dream that we will live in love. From love. I’m a dreamer. Will you dream with me? And what’s your dream so I may dream along with you?